A 3D-printed euthanasia device that will assist users to kill themselves was displayed for the first time on Saturday, April 14, 2018, during a funeral fair in Amsterdam. 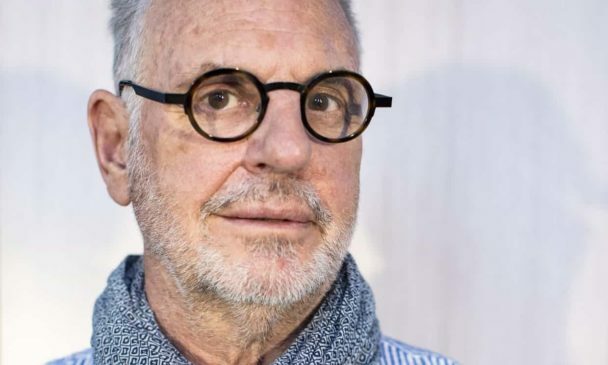 The device, which allows people kill themselves with just the click of a button, was invented by Philip Nitschke, popularly known as “Dr Death”. 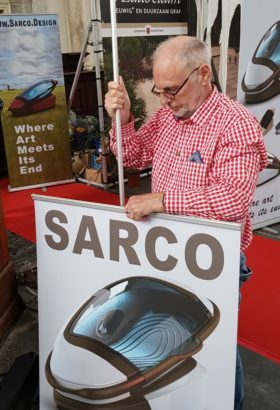 The euthanasia device, named Sarco, first made the news last year after prototype designs were released by its two creators, Australian euthanasia activist Dr. Philip Nitschke and Dutch engineer Alexander Bannink. Sarco speeds up the death process by hypoxia, i.e by reducing the amount of oxygen reaching the tissues. It is designed to be portable and will come with a built-in detachable coffin. The inventors claim that a fully-functioning version will be built this year, after which the blueprints will be made open source and published online for anyone to access and download. This is a situation where one person chooses to press a button rather than for instance standing in front of a train. I believe it’s a fundamental human right [to choose when to die]. It’s not just some medical privilege for the very sick. If you’ve got the precious gift of life, you should be able to give that gift away at the time of your choosing. The inventor said he believes it is a more “peaceful and I would even say an elegant death”. However, pro-life groups have criticized Dr Nitschke and warn his machine could lead to a huge rise in suicides across the US.